Blyth AFC will kick-off their 2018-19 Northern League Division One campaign with a local derby against Ashington at Woodhorn Lane, writes Andrew McDonnell. The two sides have met just twice in competitive fixtures in history, with the Braves winning on both occasions in the Northumberland Senior Cup. Blyth’s fixture with the Colliers will take place on Saturday 4 August at 3:00pm and the first home game of the season follows four days later. Seaham Red Star will be the first opponents at home this season, while the Braves will play six games – three home and three away – in the opening month of the new season. The draw for the Emirates FA Cup is yet to take place, but Blyth’s first ever game in the competition will be on Saturday 11 August. Trips to former FA Vase winners North Shields and then Team Northumbria follow this, while the final game of August is against Whitley Bay. Stockton Town, who played in the FA Vase final back in May, will be the visitors on October 20, while the Braves go to Bishopton Road West on March 2. 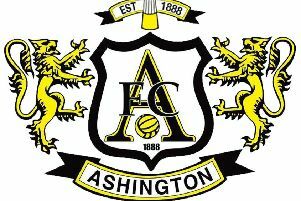 The reverse fixture against Ashington will take place on December 22 and the team will then have a lengthy break over the Christmas period before the first game of 2019 – away to West Auckland Town on January 5. Newcastle Benfield will be the final home game of the 2018-19 season on April 6 and Blyth will conclude their first season in Division One with a trip to Consett on April 13. It is sure to be an exciting season for the club, new grounds to visit, new teams to lock horns with and new targets for the team.